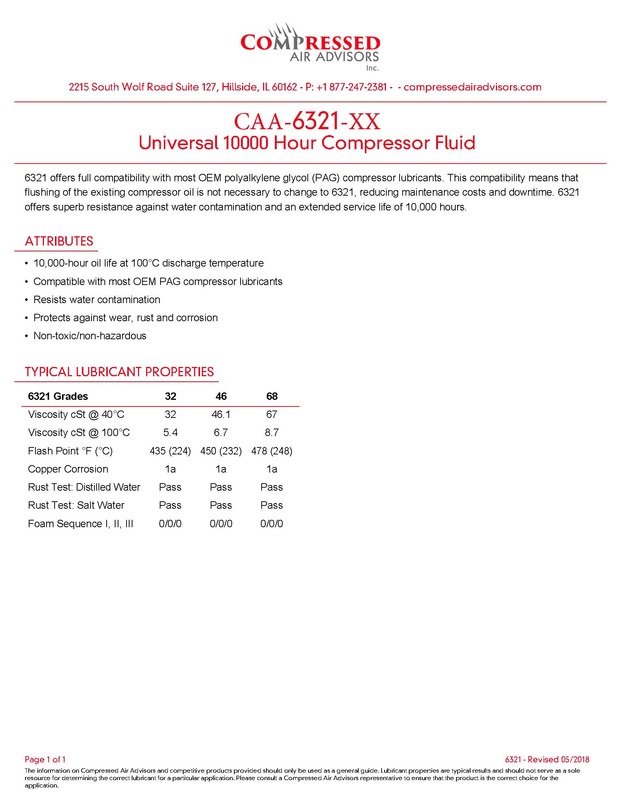 CAA-6321-46 offers full compatibility with most OEM polyalkylene glycol (PAG) compressor lubricants. This compatibility means that flushing of the existing compressor oil is not necessary to change to CAA-6321, reducing maintenance costs and downtime. CAA-6321 offers superb resistance against water contamination and an extended service life of 10,000 hours.